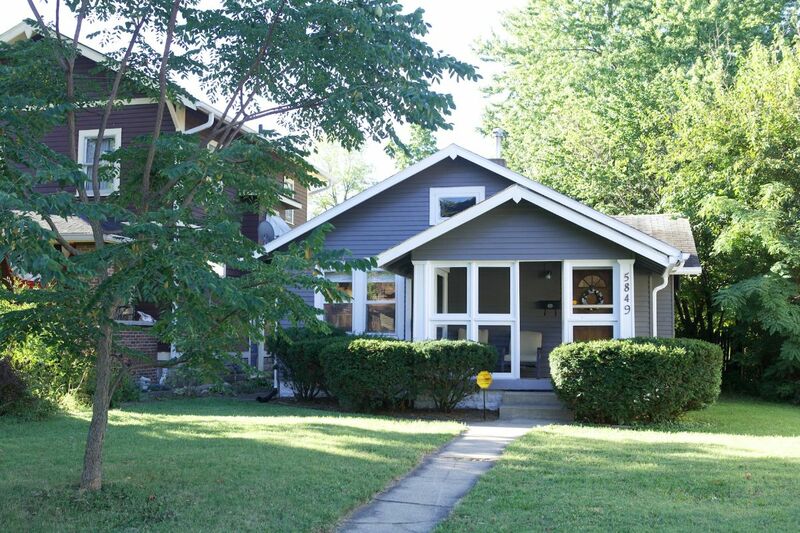 This cute gray house is owned by blogger Jasmin of Little House Design. And little it definitely is, coming in at under 1,000 square feet. It was when Jasmin became a proud new home owner at the age of 26 that she finally realized her passion for interior design and DIY projects. With the little house as her practice field, she has honed her skills in every room. From painting, to hanging art, even building furniture - her hard work has paid off. 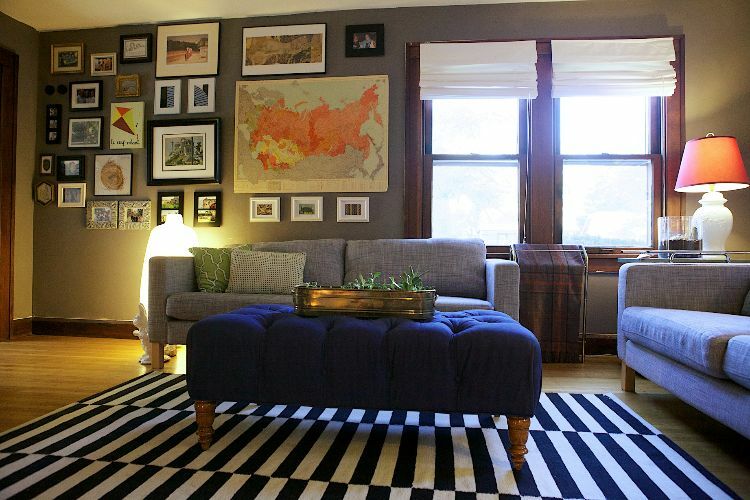 Take a look at her stylish and affordable style in the full house tour below. 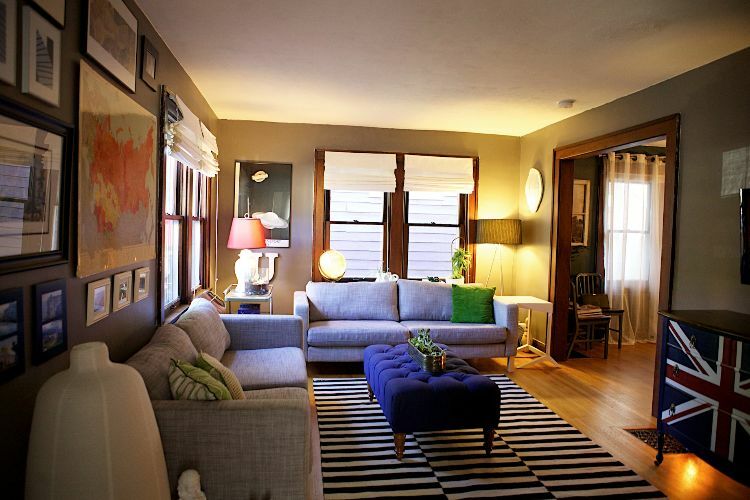 The living room features rich gray walls and solid wood trim. The ottoman was a steal from a thrift store, Jasmin painted the faded fabric for brand new look. Jasmin says anything goes when hanging gallery walls, her advice is, "If you have thirteen black frames, five white ones, and two natural wood frames - use them all, mix it all together and do it with confidence." The graphic typography art is a DIY project. 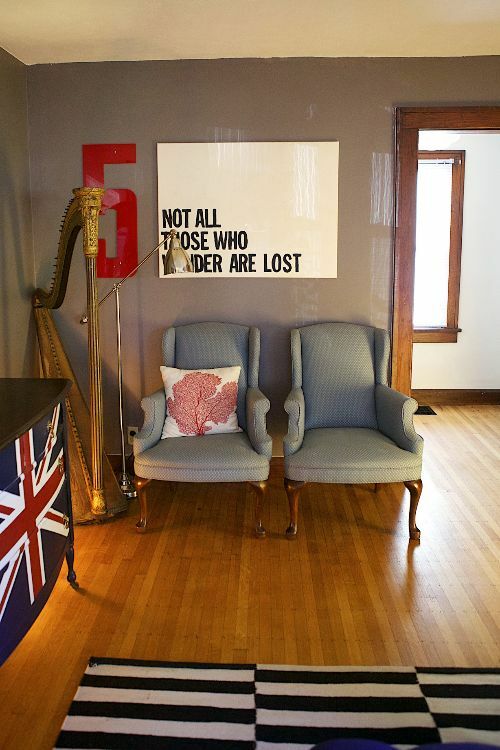 Combined with a large number five, a harp, and a floor lamp - this cozy corner is another lovely example of Jasmin's eclectic style. 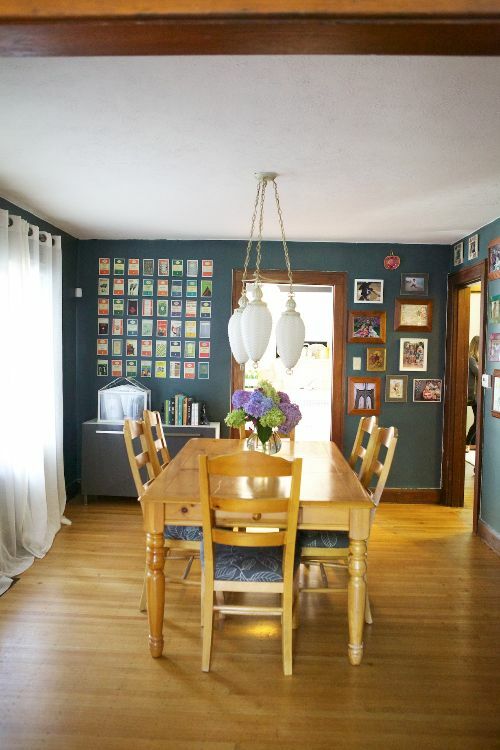 The dining room features more gallery wall displays, a unique light fixture, and a dining set with recovered chair seats. 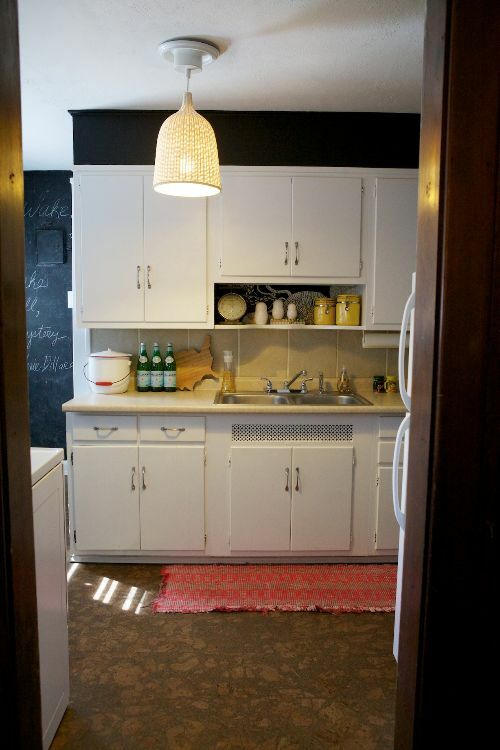 The kitchen is small but makes a chic statement thanks to the bold black walls. Jasmin had cork floors installed to replace the old linoleum tile. 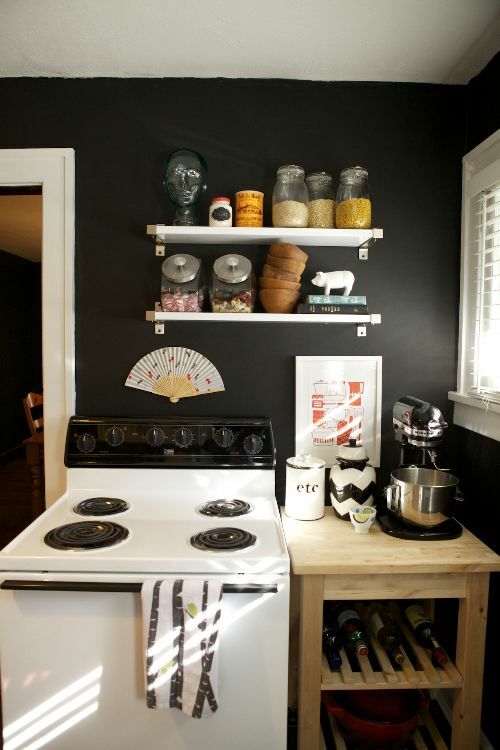 The black walls make the white trim, white appliances, and open shelving really pop. Consider displaying jarred cooking ingredients, cookbooks, and attractive dishes instead of hiding them away. Jasmin used a gold leaf pen to paint the frames in the master bedroom. 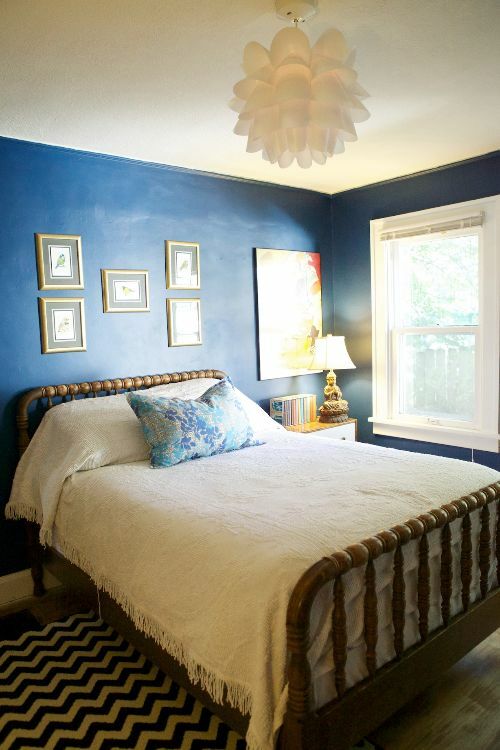 Dark blue walls make a statement, but are still relaxing and inviting. 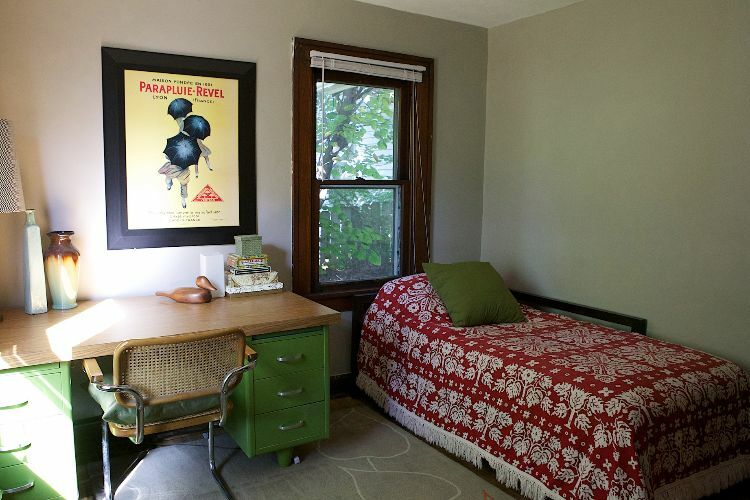 The guest room doubles as an office with the addition of a vintage metal desk. Pops of green, red, and yellow give the space a playful and laid back vibe.